The Cass County Board of Commissioners approved its newest member to the board as part of business for their meeting on April 10th. Kim Hance, a Democrat from Beardstown, was appointed by Cass County Chairman Mike Barnett and approved by the board. Hance, a 1988 graduate of Beardstown High School, is the executive director of the Beardstown Chamber of Commerce and the executive officer of the Beardstown Main Street Committee. Hance replaces David Parish in the District 2 chair, a term that will expire in March 2020. Barnett outlines why Hance was chosen to fill the vacancy. According to his Sager Funeral Home obituary, Parish was a long-time history and psychology teacher at Beardstown High School and 13-year board chairman in Cass County. He passed away in Springfield on February 8th at the age of 75. Parish had served concurrently on the board since his first election in 1987. After Hance’s appointment was approved, the board completed normal business on the agenda including an ambulance service ordinance, approval of work on the Cass-Schuyler Public Transit system to upgrade service, and the hiring of Hansen Information Systems to work on the county’s website and information technology as well as other appointments in the county. Barnett went on to explain future economic opportunities in the county that are coming up as part of board business. 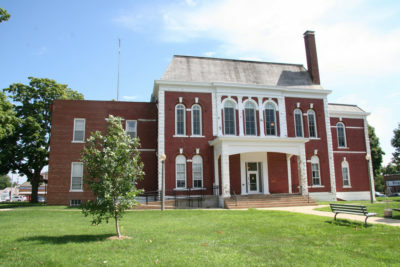 The Cass County Board of Commissioners meet the 2nd Monday of each month at the Cass County Courthouse, 100 E Springfield Street in Virginia at 7PM.